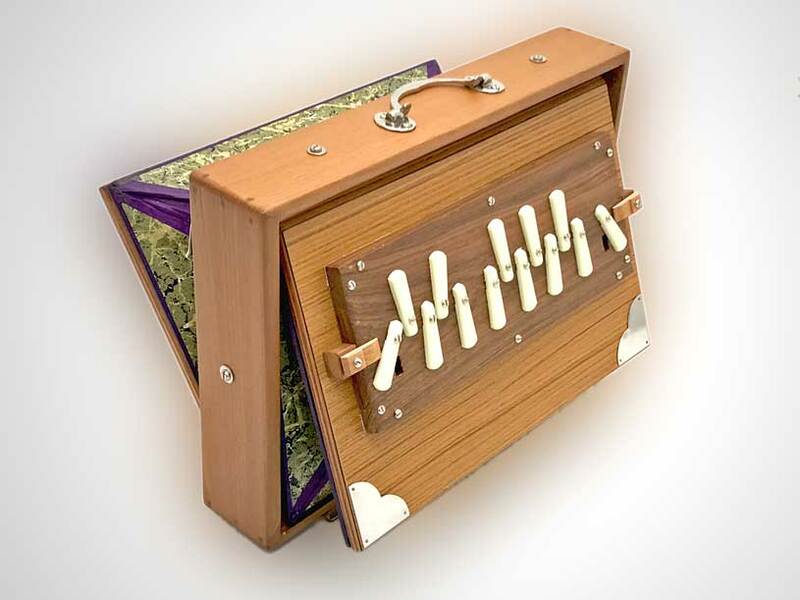 TARANG offers a smaller, a larger and a medium sized Shrutibox model by the manufacturer Monoj Kumar Sardar. All of them have a tonal range of 13 chromatic semitones from c - c' each, which can be opened separately and thus can be combined in whatever way you like. The smallest model with the measurements 33 x 25 x 8 cm has the usual standard size. 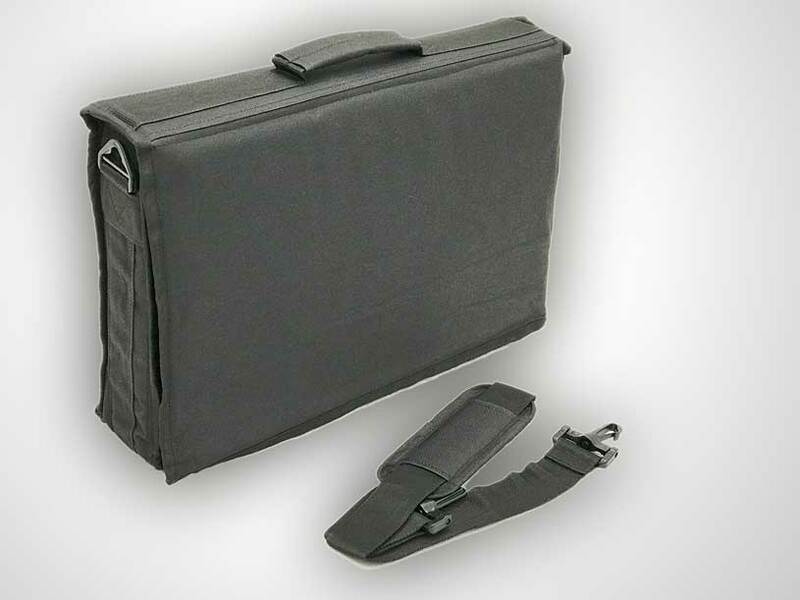 The small Shrutibox is especially recommended for travelling because of its mobility. 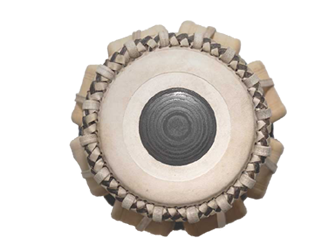 The volume of the bellows is smaller than that of the large and the medium Shrutibox model. But with a little practice you can produce a quite steady tone. When opening more then 1 valve for playing chords the volume of the air might be not enough to produce a steady sound. That's why, if you want to use the instrument for accompanying overtone singing, we would like to recommend you the larger model by MKS. 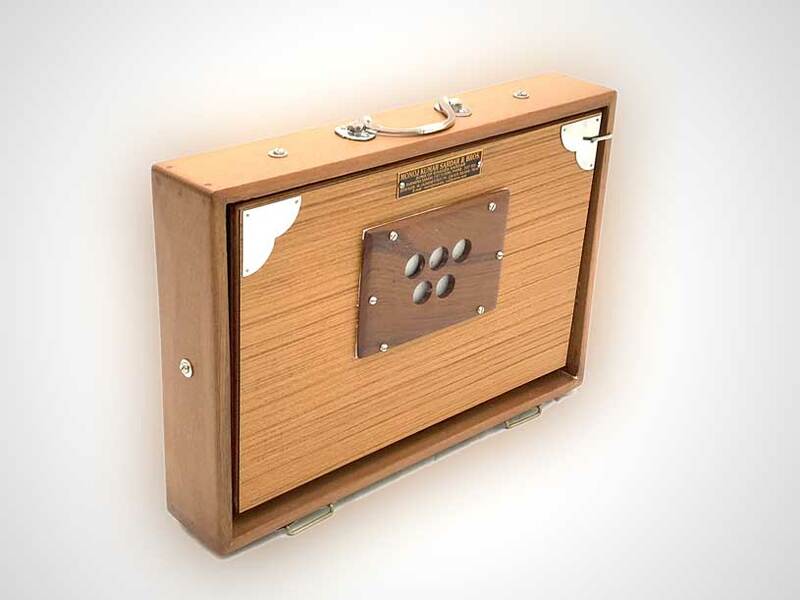 For the accompany of louder and dynamic music or vocal it will be still an excellent Shrutibox. 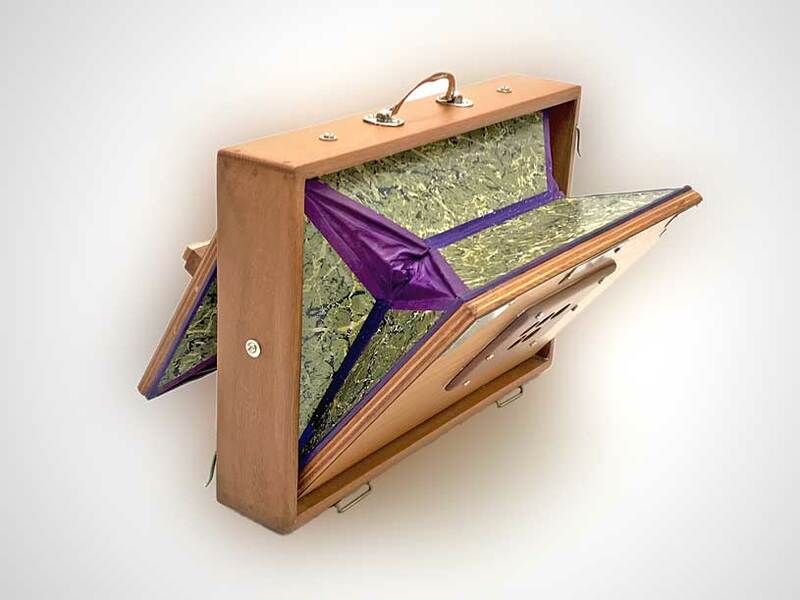 The frame is made of solid wood whereas the bellows wings are made of laminated wood. The Shrutibox models offered by us are tuned in India to the western standard A 440 Hertz. In our climatic conditions, the tuning is at a minimum higher 441 - max. 442 Hertz. Even a trained ear is not necessarily able to hear this and most of our musician clients can accept this minimal higher tuning. However, with instruments whose tuning can not be easily adapted, problems may arise. If this is the case, please let us know. If necessary, we can tune a Shrutibox to 440 Hertz for an extra charge. Other tunings which are far away from the 440 Hertz, such as the often requested 432 Hertz cannot be tuned. Sometimes we have this tuning on stock, if not it has to be ordered in India, In that case thewaiting period is several months. 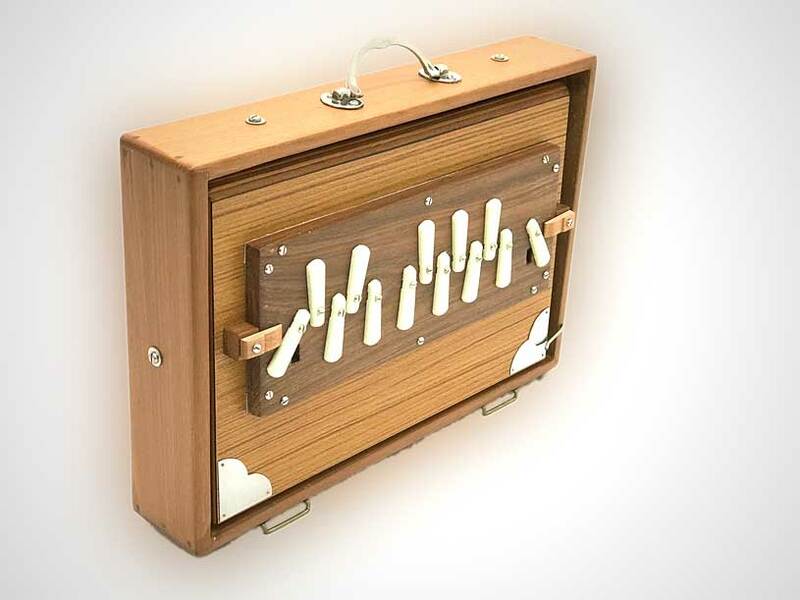 Just ask us if you would like to have a Shrutibox on that tuning. Maybe we have it on stock.